Andersonville is recognized for its diversity, quirky atmosphere and distinctive flavors, not to mention its rich Swedish heritage and large LGBT community. Explore everything this popular North Side neighborhood has to offer. While Andersonville has grown into a diverse community, its roots stem from the Swedish immigrants who settled there decades ago. That heritage is showcased at the Swedish American Museum. Established in 1976, the museum is a center for Swedish art, history and culture. The main exhibit, The Dream of America: Swedish Immigration to Chicago, displays artifacts, pictures and stories of the mass immigration of the Swedes to Chicago in the late 1800s. Children can play with hands-on, interactive exhibits at the Brunk Children&apos;s Museum of Immigration. They can wear traditional costumes, churn butter, milk a cow and gather eggs on a Swedish farm. The Nordic Family Genealogy Center lets visitors trace their roots and research their ancestry with help from trained volunteers. The museum also offers a student program for youth groups, which includes educational packets for teachers. Be sure to pick up a keepsake from the Kerstin Andersson Museum Store, which sells linens, jewelry, glassware and much more. 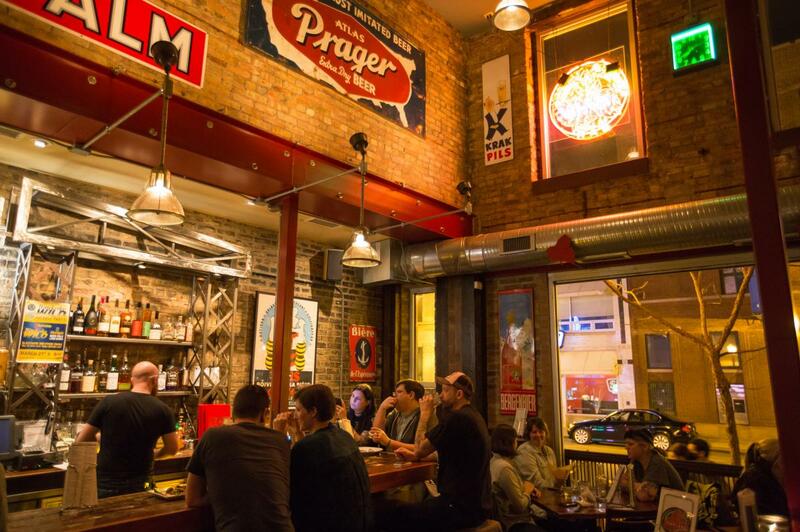 Andersonville is known for its eclectic collection of independent, specialty restaurants and bars, where you can find some of the best food in Chicago. These eateries are great options for visitors to explore on their own if they have some free time away from the group. Hamburger Mary&apos;s, a must-do when in Andersonville, is famous for, you guessed it, hamburgers. Pick a traditional style like "The ‘Mary&apos; Burger," or step out of the box with something like "A date with a pig & goat." Once you pick your style, select your meat and your side, as well as a mug of house-brewed craft beer, and get ready to chow down. Mary&apos;s also serves soups, salads, sandwiches and entrees. If you like Southern cooking, head to Big Jones for delicious regional dishes prepared with farm-to-table ingredients. Or get a taste of Mediterranean cuisine at Andie&apos;s Restaurant, a perfect dining spot for tour groups serving up Greek and Middle Eastern favorites like baba ghanoush and kabobs. Another great place to try is Hopleaf. A Michelin Guide restaurant, this popular bar has more than 400 beer bottle selections, 64 drafts and eight wines on tap, not to mention some pretty spectacular food, including the CB & J, a sandwich topped with cashew butter, fig jam & raclette cheese. For a sweet treat, stop by Ann Sather, a famous Chicago institution known for its scrumptious cinnamon rolls and traditional Swedish breakfast items. Andersonville has one of the largest gay and lesbian communities in Chicago. The LGBT population grew due in large part to many independent businesses that opened in the historic district, including Women & Children First. 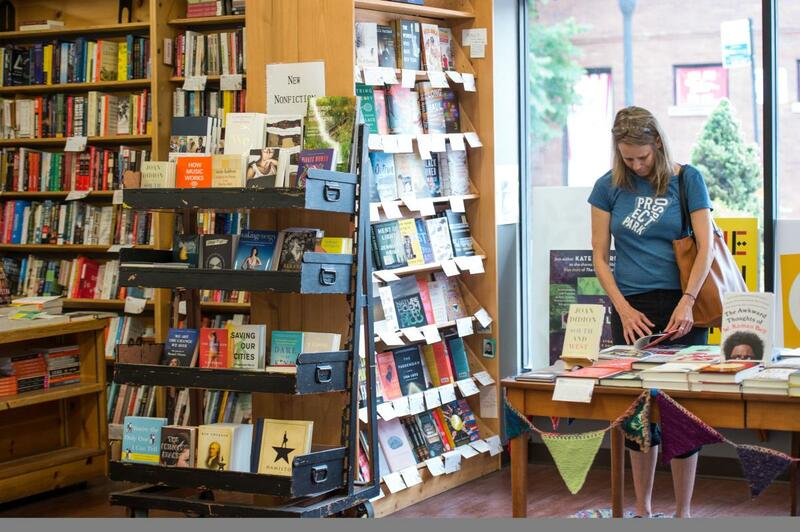 This bookstore focuses on feminist authors and topics, and features over 30,000 books by and about women, as well as a large children&apos;s section. Located above Hamburger Mary&apos;s dining room is Mary&apos;s Attic, voted one of the best gay bars in the world by OUT Magazine. Sing your heart out on Wednesday nights during MaryOke, laugh out load at themed cabaret shows or dance all night long on Saturday nights during Party in the Attic. Catch the longest running drag show in Andersonville, "Ashley Morgan Presents," at The Call. This is the largest LGBT video bar in the neighborhood with nightly drink specials and a massive dance floor where DJs keep tunes going all night. Experience the wildly poignant productions at The Neo-Futurist Theater, home of the award-winning experimental theater company, The Neo-Futurists. Formed in 1988, The Neo-Futurists deliver adventurous, interactive shows that have captured acclaim from media and theater lovers for the last 25 years. For even more side-splitting entertainment, grab a seat at pH Comedy Theater, a comedy theater that has been putting on hilarious improv shows since 2002. Audience participation is highly encouraged, allowing your group to play a hand in the outcome, so no show is the same. Andersonville&apos;s commercial district is a shopper&apos;s paradise. 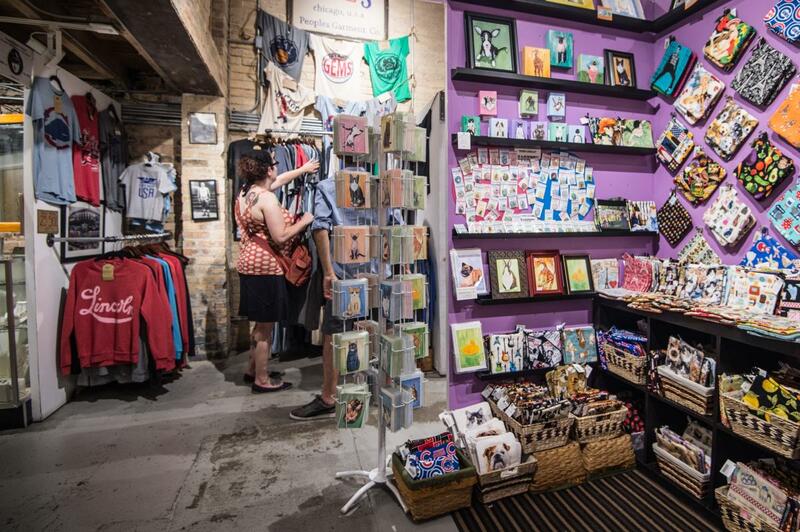 Made up of independent, locally-owned boutiques and galleries, this stretch of the neighborhood is where visitors will find one-of-a-kind accessories, clothing and art galore. Stop by the Andersonville Galleria and find apparel, jewelry, artwork, home furnishings, antiques and more from over 90 artisans. For offbeat trinkets and gifts, head to Foursided, a self-proclaimed "ultimate curiosities emporium" featuring custom framing, unique art and gifts, and hundreds of antiques. Discover dynamic pieces of art at Las Manos Gallery, showcasing works from local artists at all stages of career development.